AAP has shirked 'Dalit politics' so far but @ArvindKejriwal was at Hyderabad today. Punjab polls? HRD ministry team 'feels strong resentment' against the VC among Dalits. Anything to say, Ms Irani? 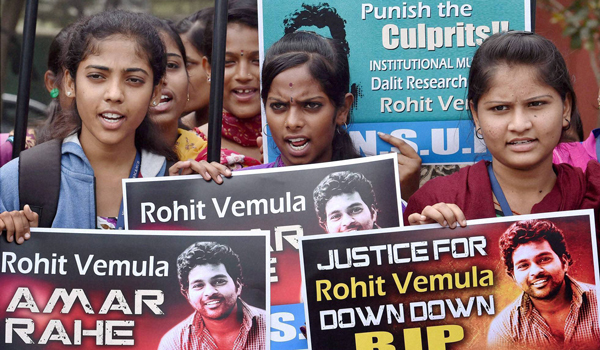 Over half a dozen national and regional parties have reacted to Dalit student Rohith Vemula's suicide by upholding their brand of politics, condemning the politics of others, while claiming to remain apolitical. Keeping to the script, Arvind Kejriwal too visited the Hyderabad Central University Thursday to show solidarity. It did not hurt that the Delhi chief minister's came at an opportune time for him. His Aam Aadmi Party is fighting its next big election in Punjab, which is home to a huge Dalit population. At around the same time, another crucial development was taking shape on the campus: the decision by 15 Dalit professors of the university to resign all administrative posts. But why these teachers waited four days after Rohith's death to highlight discrimination in their institution isn't quite clear. 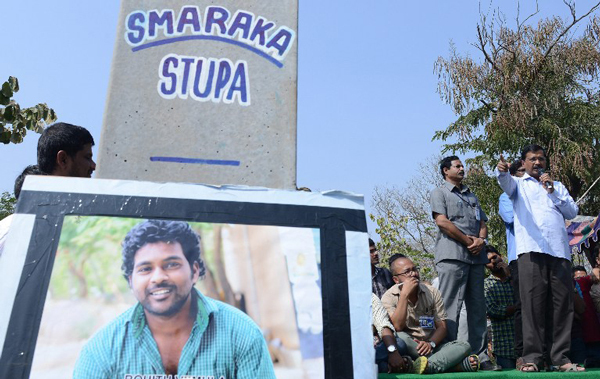 Rohith's suicide has become the most urgent political issue in the country today. Since his death on 17 December, Rahul Gandhi, Asaduddin Owaisi and Derek O' Brien have visited the campus, while Mayawati, Nitish Kumar, Ram Vilas Paswan have sent their parties' delegations. Outside, several leaders of the ruling BJP have held press conferences to defend their party against what they claim is the opposition's "vote bank" politics. On Thursday, Kejriwal took the centrestage. It wasn't lost on anybody that this was the AAP's first foray into "Dalit politics". Despite its reputation as the defender of the less privileged, AAP hasn't really taken up the case of Dalits - unless calling the BJP an anti-Dalit party qualifies. The party's cabinet in Delhi doesn't have a Dalit member, and the the party has steered clear of taking a position of caste-based reservation. So, what brought Kejriwal to Hyderabad? One major reason could be an effort to build a pro-Dalit image just in time for the Punjab election later this year. No party can hope to do well in Punjab without earning the goodwill of its huge Dalits, who comprise nearly a third of the population. After meeting Rohith's mother, who is protesting on the campus for justice for her son, Kejriwal said, "The death of Rohith is a shame on the nation, on the society." Reacting to Smriti Irani's charge that "malicious attempts" were being made to turn Rohith's suicide into a Dalit versus non-Dalit confrontation, Kejriwal said instead of trying to create controversy, she should have been trying to ensure justice for the student. 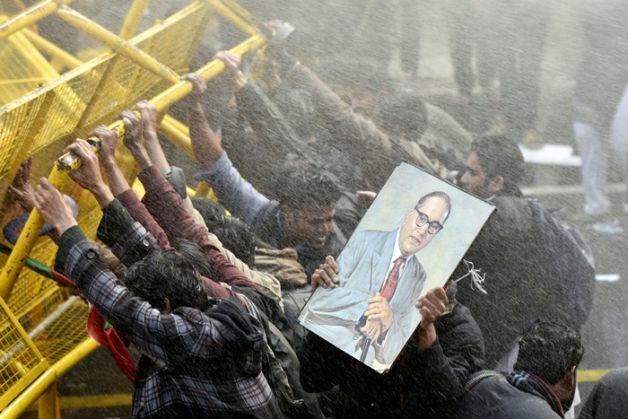 Just hours after the professors announced their resignation, the university's Executive Council revoked the suspension of the four Dalit students who it had suspended along with Rohith. 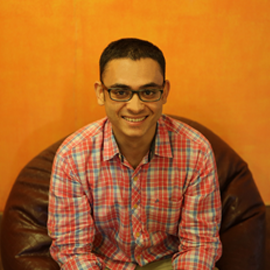 They had been suspended for allegedly assaulting a leader of the ABVP, the BJP's students wing. Barred from residing in the hostel, they had been forced to live in tents on the campus even though the Proctorial Board had probed the incident and found no substance to the ABVP's charges. The NDA government, meanwhile, has tied itself in knots with ill-thought defences of their alleged role in Rohith's suicide. Almost everything Smriti Irani had claimed in her press conference Wednesday was refuted by the 15 professors who resigned today after releasing a scathing statement against her. Also read- #HydStudentSuicide: here's how you got your "facts" totally wrong, Ms Irani! "It is very wrong to say that the sub-committee of the Executive Council which expelled the students was headed by a Dalit. It was headed by Prof Vipin Srivastav, who is not a Dalit," one of the professors told the media. "It is unfortunate that since its inception, no Dalit representation has been given in the Executive Council," their statement said, and accused Irani of "trying to mislead the country" and "deflecting the issue to absolve her of responsibility". Not just Irani's claims, the allegation of the ABVP leader Susheel Kumar that he had been assaulted by Ambedkar Students' Association activists, including Rohith, have also been contested by the police, in whose probe the minister had publicly espoused her faith Wednesday. The security officer who was present when Kumar claimed to have been assaulted has told the police that he did not witness any scuffle. In fact, even the fact finding team of the HRD ministry, in whose parallel probe too Irani has expressed her trust, has reportedly found fault with the university administration for its inept handling of the issue. According to a report in The Asian Age, the team, which is likely to submit its report by Saturday, has even demanded that the vice-chancellor be sacked. The team reportedly felt "strong resentment" against Prof Appa Rao Podile among the university's Dalit students "since his tenure as chief warden from 2001 to 2004". "His tenure as chief warden was also mired in controversy as he faced similar allegations of discriminating against Dalits in hostels and messes, which had led to suspension of a few Dalit students and violent incidents on the campus," the team has reportedly concluded. If this wasn't enough, stories about prejudice and bigotry of other faculty members have begun to filter out. Today's decision of the Executive Council is unlikely to quell the wave of protests that is looking to grow bigger by the day. So, now that there's little doubt about Rohith's identity, which was questioned by the BJP leaders, the only way forward for the ruling party is to acknowledge that this is precisely an Dalit versus non-Dalit issue, and then fight against this discrimination. TWEET THIS AAP has shirked 'Dalit politics' so far but @ArvindKejriwal was at Hyderabad today. Punjab polls? HRD ministry team 'feels strong resentment' against the VC among Dalits. Anything to say, Ms Irani?